Posted on February 16, 2018 | Comments Off on What’s Causing Your Heartburn? Many of us think that certain foods and excessive stomach acid are the only causes of frequent heartburn. While some acidic foods, such as citrus, tomatoes, chocolate, coffee and tea, may cause problems for some individuals, odds are that foods are not as problematic as we think. The acid in foods is miniscule compared to the approximately two liters of hydrochloric acid the stomach produces daily. Almost everyone experiences heartburn at times, but if it’s happening frequently, two days per week or more, gastroesophageal reflux disease or GERD is the likely culprit. 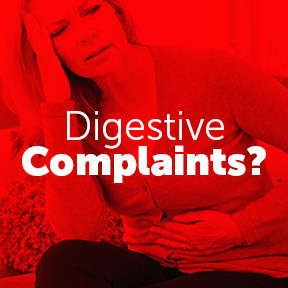 While we are quick to pop some OTC antacids or acid blocking drugs for fast relief of the miserable burning sensation, frequent use of common acid reflux medications suppresses or eliminates stomach acid production and raises the pH level of the stomach. OTC antacids neutralize stomach acid but do not suppress acid production. Acid blocking medications such as proton pump inhibitors suppress the body’s natural secretion of gastric juices. This can alter specific gut bacteria in a way that promotes liver injury, and chronic liver disease and may also promote gallstones, colitis, diverticulitis, gastritis and ulcers. The importance of stomach acid cannot be understated. It’s essential to immune health in its role in eliminating deleterious microbodies and parasites, it activates enzymes needed for proper digestion, it’s necessary for B12 absorption, and it performs essential digestive functions, as well initiating movement of food through the digestive tract. Suppressing stomach acid for long periods of time can lead to malabsorption of nutrients and result in long-term health consequences. Many may be surprised to learn that low stomach acidity may actually be the cause of reflux. Food enters the stomach through the lower esophageal sphincter (LES) valve, which also prohibits the reflux of gastric acid into the esophagus. The autonomic nervous system activates the LES in response to increased stomach acidity. When stomach acid increases, the closing pressure on the valve increases. When the stomach does not reach the proper level of acidity, the valve remains open and stomach acid refluxes into the esophagus. Furthering the problem, the pyloric sphincter, the valve which holds stomach contents for proper and complete digestion before opening to release the contents into the intestines, will remain closed without the proper level of acidity, resulting in indigestion, bloating and possible forced release of stomach contents into the esophagus. Be aware that there are serious health issues that can feel a lot like heartburn. Heartburn that occurs during strenuous or moderate activity can be an indication of angina. If you’re 50 and older, have heart risk factors such as hypertension, diabetes, or family history of heart disease, or have any doubts about your symptoms, see your healthcare provider as soon as possible. Gallstones can cause stomach cramping or pain immediately after a meal. If you experience stomach pain after eating that doesn’t go away with OTC medication, gallstones may be responsible. Allergies and certain medications for pain and osteoporosis can cause irritation and inflammation of the esophagus or esophagitis, which can result in frequent heartburn, as well as difficulty swallowing. A hiatal hernia, in which a portion of the upper stomach pokes through the diaphragm in to the chest cavity, can push stomach contents up into the esophagus, resulting in symptoms such as heartburn, nausea, belching and chest pain. Eating smaller meals, avoiding alcohol and not eating right before bed can help alleviate symptoms. It appears that when it comes to heartburn flareups, when and how much we eat are as important as what we eat. -Eating and drinking too close to bedtime can trigger heartburn. Lying down with a full stomach allows stomach contents to slide up into the esophagus. Avoid consuming a large amount of food at one sitting, as overfilling the stomach can also bring on heartburn. 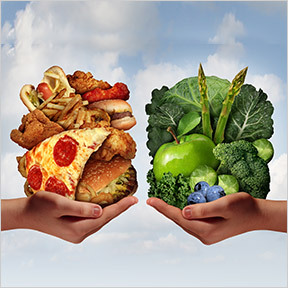 -Identify and eliminate foods that you know cause problems for you. For some it may be spicy or fatty foods, for others it may be gluten. Reducing alcohol and caffeine consumption may also help relieve symptoms. -For many the source of reflux is inflammation of the stomach lining and esophageal tissues. Addressing inflammation with natural remedies and an anti-inflammatory diet can often relieve painful symptoms. – Carrying excess weight slows the digestive process, creates more pressure within the abdomen and loosens the LES valve that prevents gastric juices and partially digested food from backing up into the esophagus. Losing weight when needed can reduce the risk of heartburn. -Digestive enzymes taken with your meals can increase digestive efficiency and reduce the amount of time it takes for foods to be transported from the stomach to the intestines. -Probiotics and fermented foods provide live microorganisms that engage and neutralize toxins, supporting digestive, overall and immune health. Heartburn Essentials by Pure Encapsulations®: This botanical and proprietary enzyme blend helps to soothe the digestive tract, enhance digestion and maintain healthy gastric secretion, thereby offering relief for occasional heartburn and indigestion. Gluten and soy free, Non-GMO vegetarian formulation. GI Repair Nutrients by Vital Nutrients: This well reviewed product provides specific nutrients that promote the integrity of the intestinal mucosal lining, maintain healthy intestinal permeability and support the growth and health of the gastrointestinal lining. Ingredients include L-glutamine, quercetin, and lactobacillus sporogenes. Gluten, wheat, dairy and soy free formulation. Digestive Enzymes Ultra by Pure Encapsulations®: This ultra-strength propriety blend of vegetarian enzymes supports enhanced protein, carbohydrate, fat, fiber and dairy digestion, promotes optimal nutrient bioavailability and absorption, and relieves occasional bloating and gas. Gluten and soy free, Non-GMO vegetarian formulation. BioDoph-7 Plus® by Biotics® Research: This unique product supplies a proprietary blend of pre-and probiotics along with botanicals in support of healthy gastrointestinal tract and proper digestive function. At the time of manufacture, each capsule contains more than 200 billion microorganisms. Gluten free. Dr. Ohhira’s Propolis Plus® by Dr. Ohhira’s Essential Formulas®: This whole health innovative formula promotes a healthy immune and inflammatory response and balanced micro-ecology in the intestinal system. Ingredients include superior grade Brazilian green propolis, astaxanthin, and proprietary probiotic extract. Gluten, wheat, dairy and soy free formulation. 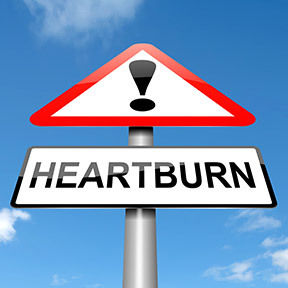 Comments Off on What’s Causing Your Heartburn? Tagged BioDoph-7 Plus® by Biotics® Research, Digestive Enzymes Ultra by Pure Encapsulations, Dr. Ohhira’s Propolis Plus® by Dr. Ohhira’s Essential Formulas, GI Repair Nutrients by Vital Nutrients, Heartburn Essentials by Pure Encapsulations, What’s Causing Your Heartburn?